Each UK citizen consumes on average, one tonne of wood a year. Before buying, check to see if you really need the product first. 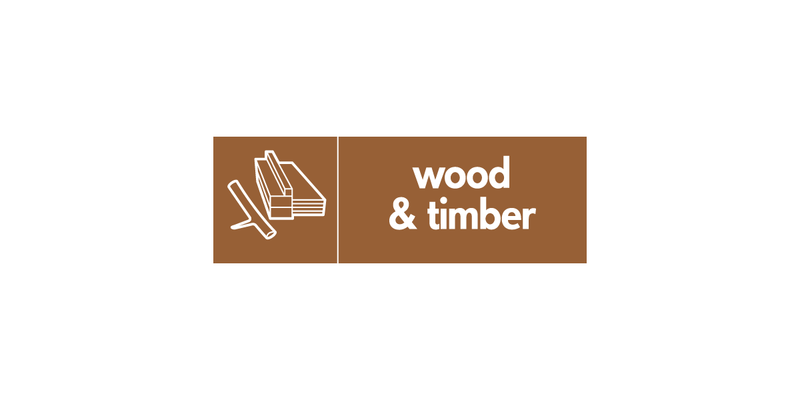 Consider buying reclaimed or salvaged timber, locally sourced or FSC certified wood. Buying locally-produced timber products means less fossil fuel is used in transportation. All FSC certified wood carries the FSC logo. Being so durable, timber is ideal for reusing so donate unwanted wood to reclamation yards or to friends for DIY. You can recycle your unwanted wood at the Smugglers Way Household Waste and Recycling Centre. From there the wood will be transported to a Biomass facility to create energy. Wood produced as a result of DIY activities and delivered by van is chargeable, see here. For information about where to recycle wood or where to buy recycled wood products, go to www.woodrecyclers.org.